Haley Beranbaum Holds US World Record! 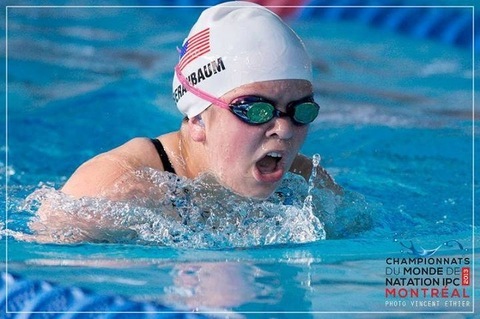 Our amazingly loving, determined, and all around wonderful granddaughter swam in the ParaOlympics in Montreal this month and broke her own record in the 200 meter IM. To think that all this started when, as a very young girl, she swam with the Dolphins. Go Haley!